Boston Bruins forward Milan Lucic made some threatening statements when exiting the series against the Montreal Canadiens and said that he stands by them. 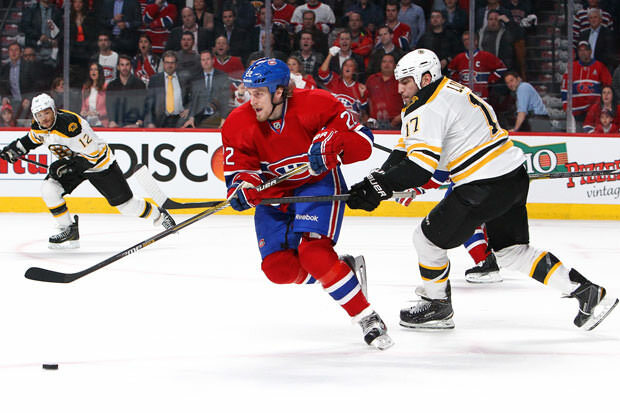 During the handshake at the end of the series, after Montreal took game seven and ousted Boston from the playoffs, Lucic made some threatening commends to Canadiens player Dale Weise. Lucic said that he stands by what he said, and added that it’s unfortunate that anyone is making a big deal over the comments. He said that there is a code in the NHL that what is said on the ice should stay on the ice, and he said that Weise has unfortunately broken that code. Lucic added that he’s was not the first guy to make such a comment and that he certainly will not be the last. Lucic said that he plays with a lot of emotion and that hockey is all about emotions, adding that sometimes emotions can get the best of you, especially in a situation like that where you have just lost the final game of the series and have been sent home from the playoffs. He added that he is not a player that takes losing very well and that this type of mindset is what has made him into the player that he is today. Asked if he would have said something similar in the next round, Lucic said that he probably would not have, but reiterated that he stands by what he said and that the code of what is said on the ice, stays on the ice is something that should be followed. Lucic said that he can’t take it back and that he is not apologizing for what he said. He also restated that the situation definitely did get blown completely out of proportion.